Ever since Google revamped its ranking procedures in 2012, SEO has become a double edged sword: Google is consciously trying to marginalise sites that use the blatant SEO tactics of the past, yet site owners still need to optimise their content to get noticed. Site owners can no longer string together half-coherent clumps of keywords and hope to get any hits, but keywords are still central to search engine listings. In this brave new world of SEO, site owners and content writers need to follow a new set of guidelines to avoid being penalised by these evolving search engine algorithms. 1. Exchange links judiciously: While it’s natural for bloggers to exchange links with other bloggers they appreciate and enjoy reading, the tactic of reciprocally linking to sites solely to boost one’s PageRank has been scrutinised by Google and other search engines recently. Sites that accrue too many of these links too quickly will be dropped in search engine rankings. While search engines certainly still pay attention to the quantity of links to a site, disingenuous linking practices like this are more likely to cause problems for a site than get it noticed. Link only to sites that have quality content, and avoid posting links on your own site for the sole purpose of getting a reciprocal link on another site. 2. Don’t hide links: Another venerable SEO tactic of the past was to post links in odd places to fool search engines. Long lists of links could be hidden in .txt files, in the unseen coding behind a site, or even in headers and footers that would appear on every page within a site, artificially boosting its ratings. Search engines have gotten wise to this SEO method, however, and trying to hide linking practices in this way will likely get a site noticed and penalised. 3. Don’t overuse ads: Many sites use ads from Google’s Adsense or other sources to monetise their content. 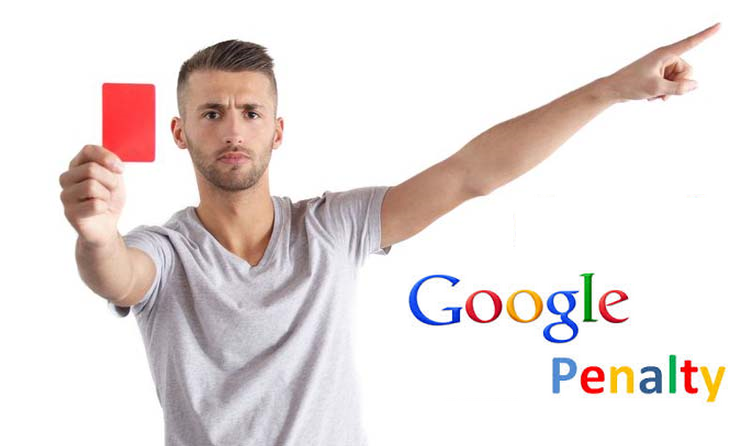 There’s nothing wrong with doing so, but using too many ads on a single page can result in a penalty to PageRank. Ad blocks should not crowd out the content that motivated a user to visit the site in the first place. Site owners have to balance their needs carefully: more ads might result in more revenue in the short term, but if the quantity of ads results in a PageRank penalty, they will have fewer visitors viewing those ads in the long run. 4. Avoid keyword stuffing: Keywords, like links, are the lifeblood of search engines; however, overuse of a particular keyword often indicates low quality content. Search engines have become increasingly aware of when a keyword is being mindlessly repeated for the purposes of SEO rather than being used to clearly express something on topic. While content authors need to continue being aware of keywords that will be noticed in search engines, stuffing keywords into an article solely for the sake of SEO is to be discouraged. 5. Create unique content: Search engines are developing increasingly sophisticated methods of analysing the quality of content; of course, blatant copying of content has been discouraged for some time–a search engine will direct a user to the original piece, rather than the copied one. But now, even spun content is being identified by the algorithms that determine PageRank in search engines. Site owners should prioritise for content that does not simply duplicate content from another site, but that synthesizes and adds to what other sites have to offer. Ultimately, the changes Google and other search engines have made to their algorithms will be beneficial for site owners who produce high quality content; however, owners must weather this difficult transition period with new, more conscientious SEO practices. You can find more information on the links below. Feel free to share anything you want or just leave your comments below about the article. Will has a passion for website design and takes inspiration from companies such as Dewsign a full design agency.